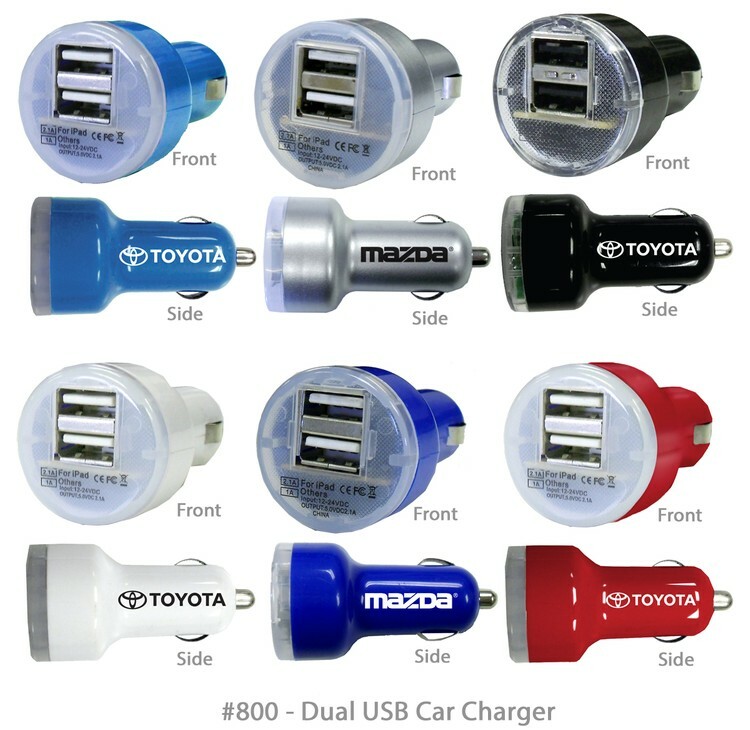 100% safe, this compact USB Car Charger lets you charge your devices on the go! This charger has dual charging ports to facilitate independent charging of 2 devices simultaneously. Built-in IC chip and safety fuse for overload protection...One port output is 2.1A max...When both ports are used simultaneously charging output per port will be 1A each port. Input: DC 12-24V, 50/60Hz, Output:5.0V-1000mA, 2.1A - (2 x1A) Max...Compatible with all USB charging cables including mobile phones, tablets MP4, etc. * Additional Location / Color run charge $0.25/Piece.